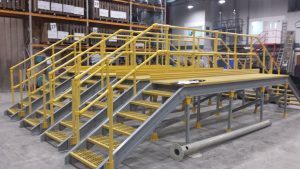 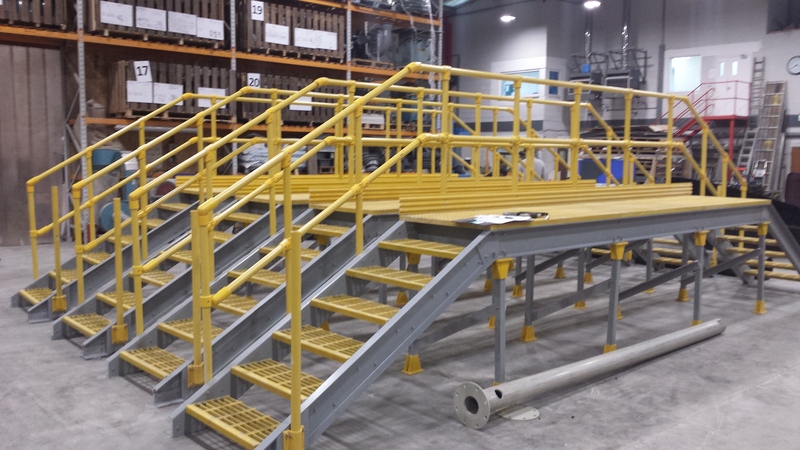 In our specialised fabrication shop we are able to offer fully fabricated structures ready for site installation or a complete kit of parts marked up for ease of build on site. 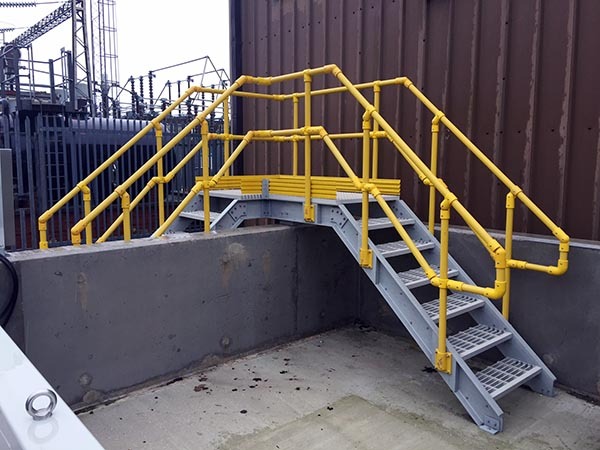 Years of experience in fabrication for varied environments across sectors enable us to deliver structures that are fit for purpose and economic. 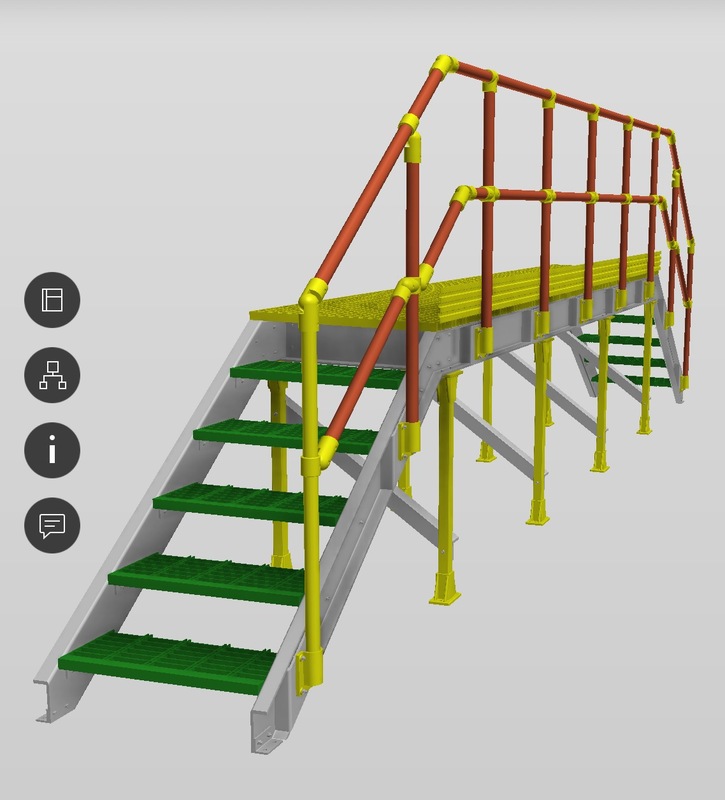 We use time served Draughtsmen and Designers utilising the latest software including Autodesk Inventor, so whether your requirement is a simple hop-up platform or a complex network of walkways, CORE-6 Composites experienced staff are available to assist you. 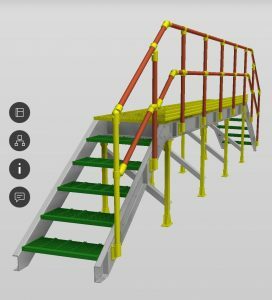 Our free survey service allows us to assess your requirements and we will then submit a preliminary design for consideration and approval prior to a full structural design analysis service being commissioned. 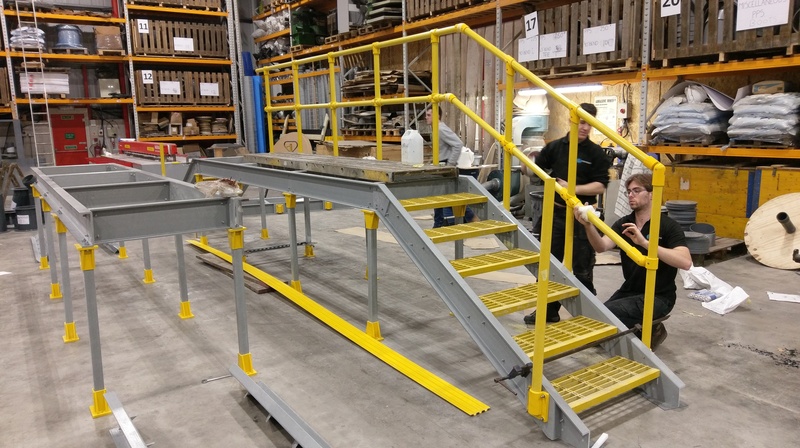 Bespoke GRP Platforms being Fabricated.